September 17th sees the start of the annual "Detonator" ordnance training taking place at Cekule. The purpose of Detonator 2018 is to seek and neutralize unexploded ordnance and to promote cooperation in neutralization tactics and procedures. The training is organized by the National Guard's 54th Engineer Battalion and will be attended by more than 170 soldiers from the armed forces of Albania, the United States, Belgium, Denmark, Estonia, Latvia, Lithuania, Luxembourg, Poland and Germany. The Cekule military zone was in regular use from 1920 to 1995. The territory of 240 hectares is still one of the largest areas contaminated with unexploded munitions in Latvia. 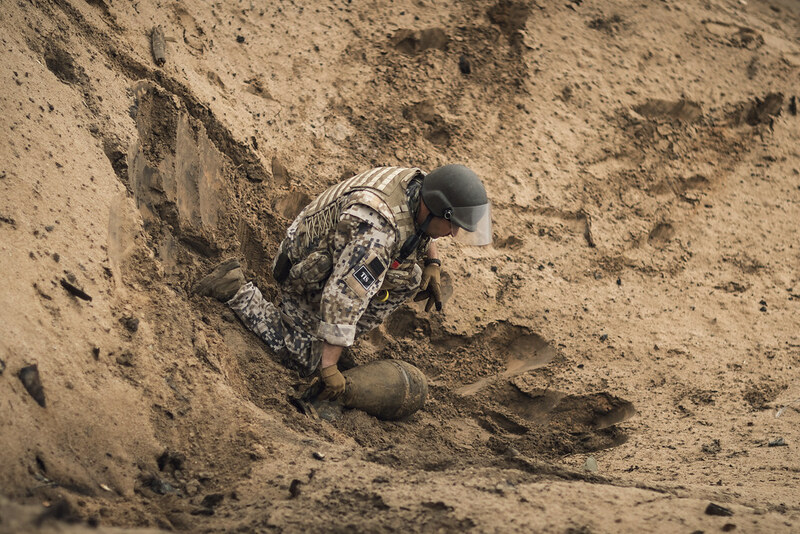 Since 1994, surface clearing of unexploded ordnance has taken place, and bomb disposal experts annually find and defuse several hundred explosive objects. The exercises run until September 30.